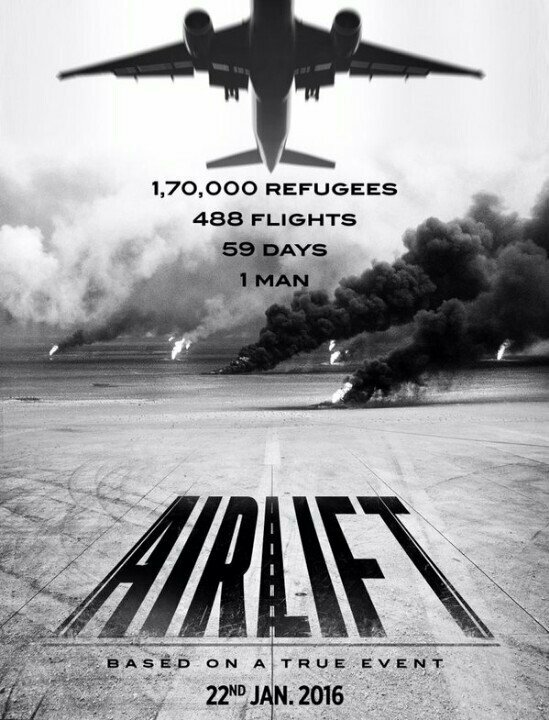 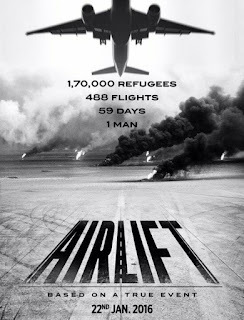 "Airlift - Based on a True Event" is an upcoming Indian Movie Based on biggest evacuation of "Indians" based in Kuwait during the Iraq Kuwait War. 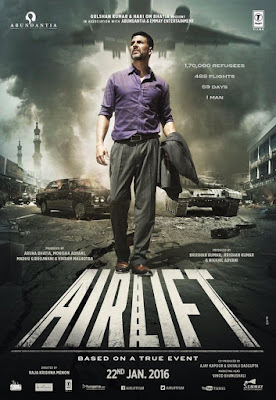 Airlift starring Akshay Kumar as Ranjit Katyal, Nimrat Kaur as Amrita Katyal in main lead roles with Lena and Purab Kohli in supporting roles. The film is presented by Gulshan Kumar & Hari Om Bhatia, in association with Abundantia & Emmay Entertainment. 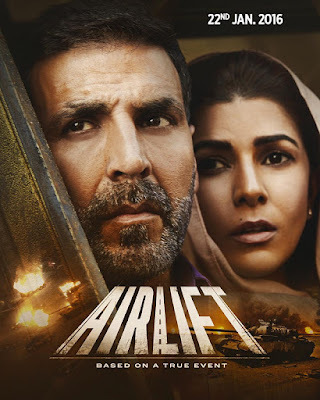 The Movie is directed by Raja Krishna Menon where as produced by Bhushan Kumar, Krishan Kumar, Nikkhil Advani, Aruna Bhatia, Monisha Advani, Madhu G Bhojwani and Vikram Malhotra. 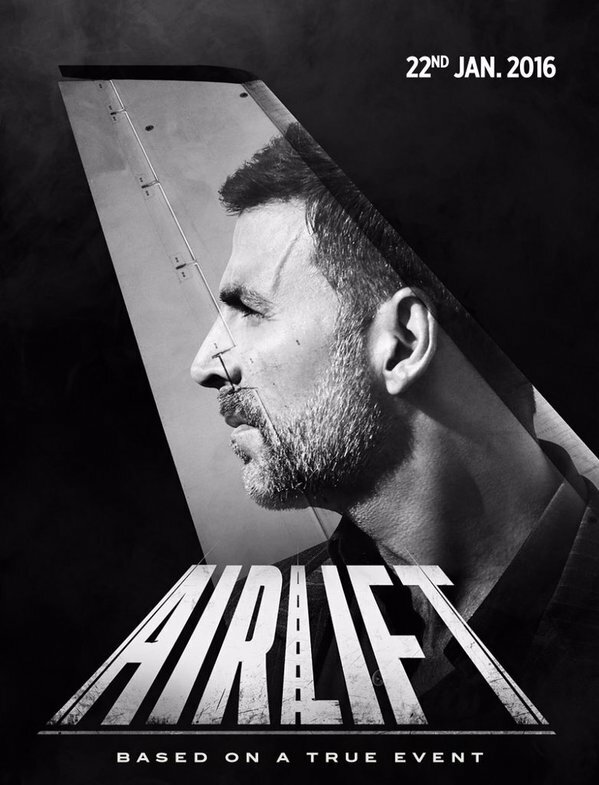 The film is all set to release on 22nd January 2016. 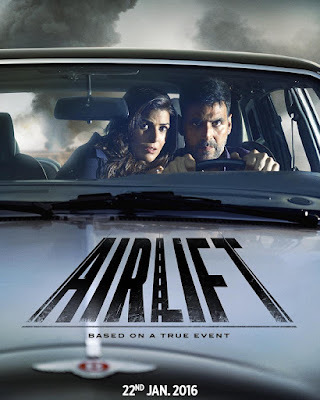 Watch Official Airlift Trailer, Teaser, Airlift Movie Dialogues Lyrics with Songs Lyrics Starring Akshay Kumar and Nimrat Kaur in lead roles. 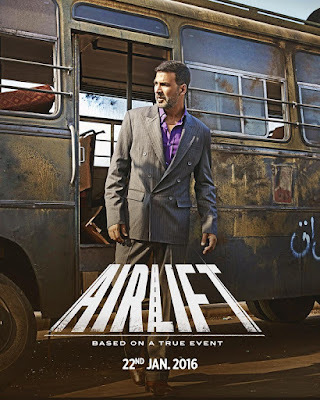 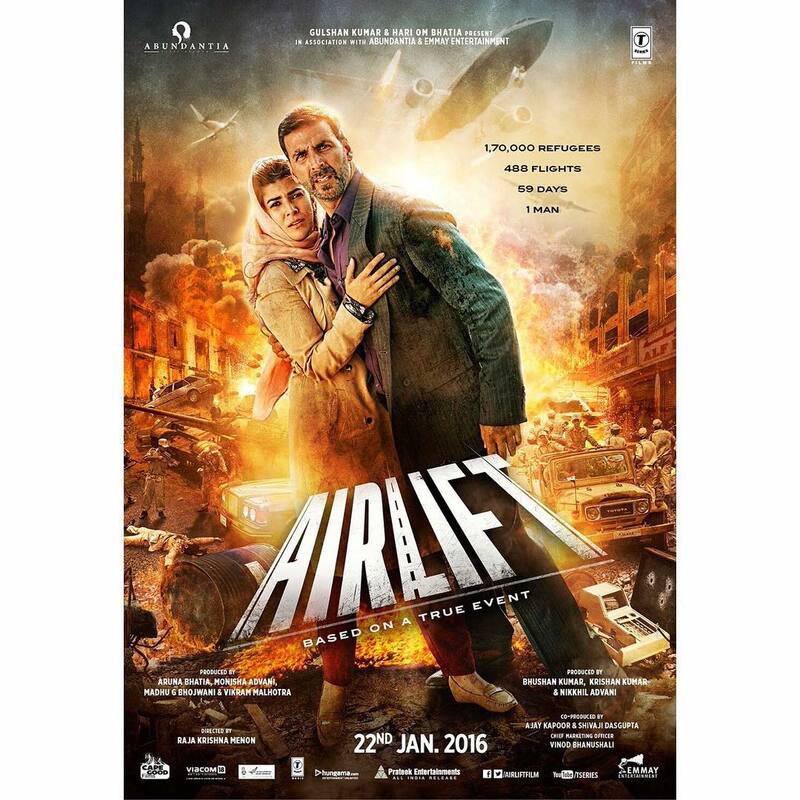 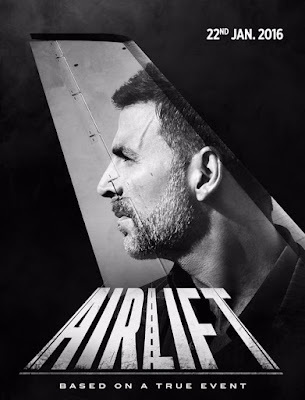 Also Check Out the Latest Airlift Movie Posters and Airlift Wallpapers at IMSongLyrics! 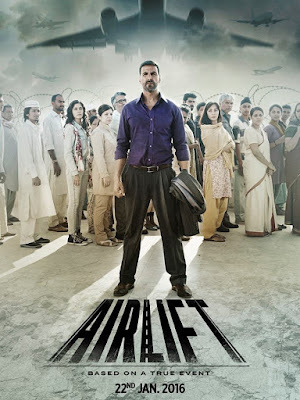 India's Most Heroic Mission "AIRLIFT"
Hindustaan Ki Sabse Kaamyab Koshish! And we needed Right now! Sath Hain to Kuch Hain Varna Nothing! 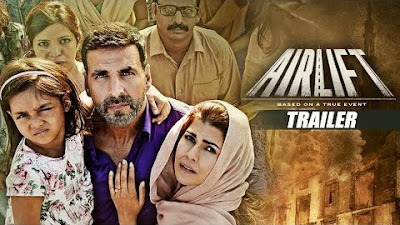 Ab jo sabka hoga Hamara hoga! Vaise Dilli ko bhi kya kosnaa? 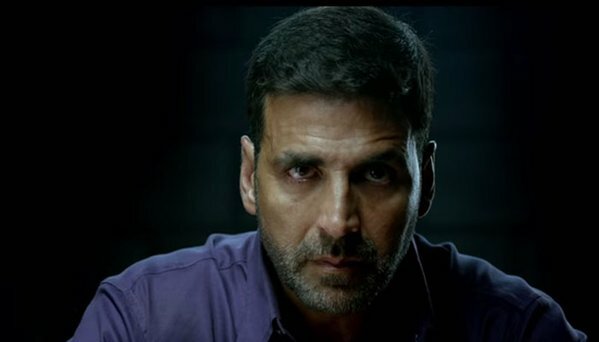 Kuch na kuch to karein..
Aaj Ke Baad Mai Kabhi Ye nahi Keh Sakunga Ki Mere Desh Ne Mere Liye Kya Kiya? 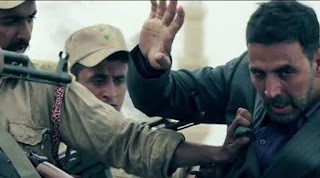 => Also Check - Ghayal Once Again Trailer here!